I always enjoy going there . I will be there again. Very friendly service & homey atmosphere. Answered all of our questions. Cocktails were especially delicious! Lovely French restaurant, with friendly staff and amazing food! Super restaurant avec personnel attentionné. Desserts excellents! Ein sehr schöner kleiner Laden in Marais. Das Essen ist wirklich super und die Bedienung sehr aufmerksam und hilfsbereit. Die kleine aber gute Karte gibt es auf Französisch allerdings ist der Service auch gerne bereit sie in Englisch zu erklären. Das klappt auch super. Beim nächsten Mal kommen wir wieder! Great food, friendly service and all at a reasonable price! I thought the service was great and very fast! The food was very tasty! Really nice place...comfortable and friendly. Food great...Duck was super...owner very aptiently explained menu choices. Reasonable. Amazing spot. And between the warm service and the exquisite food, probably our best dinner while in Paris. Highly recommend. We had a delightful dinner at the Chanard in Paris. The seafood and veal were excellent. It was a lovely find in Paris. Were the only non-Francophones there (though we have passing French). 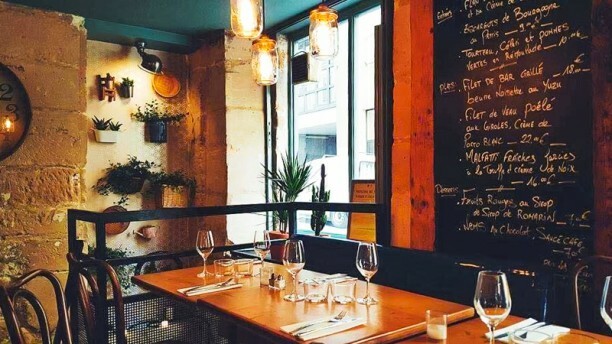 The atmosphere was pure Parisian, the food quite fine, the service attentive. We were in paid seven days. This was among our top three. Excellent variety of dishes and great attention to preparation and presentation! We were all impressed!! We really enjoyed our meal here & the host was very helpful as everything was in French and we know only a small amount of French. The wait time after first sitdown was a bit long and the wait after finishing our meal was very long, but that's the only negative we could find with this place. Great food, busy little place, but a bit short-staffed. We'd definitely recommend & would go back if time allowed! Maybe it was an off night. Maybe we ordered the wrong thing. Not sure but it was a disappointment. I think they were under staffed for the holiday. We ordered steak and fries. I’m used to medium rare steak but this was seared and raw. Some of my fries were raw with still crunchy potatoes and others burnt. My husbands meat was the same and his fries were mushy. I love mayonnaise on fries and they didn’t offer any. Overall a bad meal. The chef, Lisa helped us interpret the menu with our slight French. Her fiancé, Antoine was a whirling dervish managing the front. drinks. Fun evening with nice people, good food! Excellent experience. Will be returning. We absolutely loved Le Chanard. The food was amazing, the owner was so charming and helped us navigate the menu. Best meal we have had in Paris!! Wonderful meal! We followed the suggestions of the host and had delicious dinners. The host is friendly, informative and honest. The bistro itself is small but charming. I highly recommend.